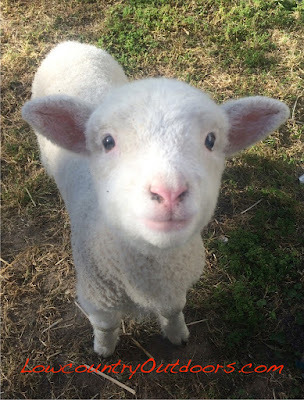 Young lamb I met ! The interstates that coarse though South Carolina and bring travelers to the coast can also offer other experiences along the way. Exit anywhere in the Olde English District of South Carolina, comprising of seven counties between Charlotte and Columbia, and exposure to terrain from sandhills to foothills is a guarantee. 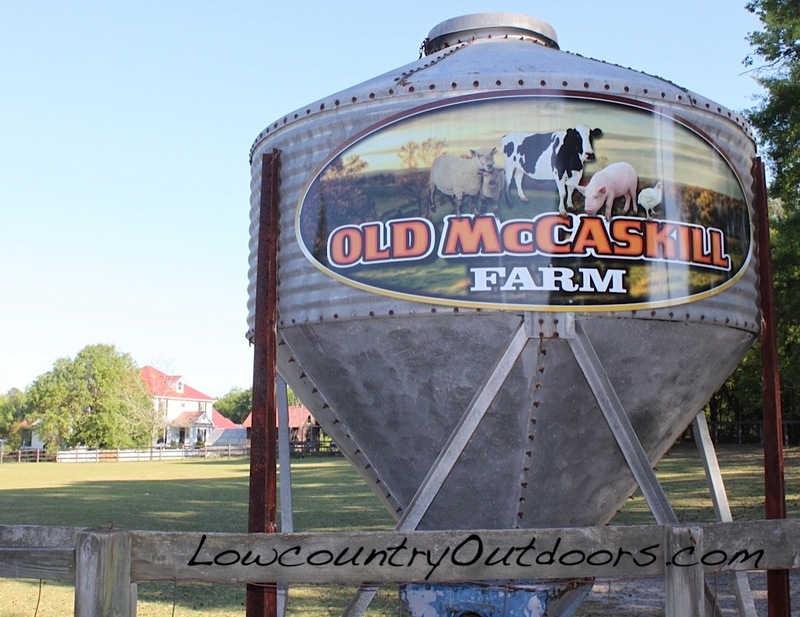 Attending a recent meeting of the Kershaw CountyForest Landowners Association was reason enough to delve deeper into the rural heritage found nearby. 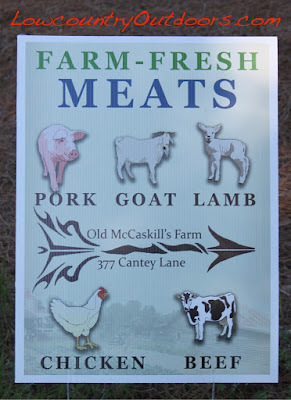 My next stop in the countryside was jut minutes away, since I was checking into Old McCaskill’s Farm B & B in Rembert for the night. The long time copy editor for the salmon sheets is Col. James Rembert, and he shared many stories over the years of driven hunts in Rembert with his kinfolk, and how I should visit there one day. To be fair, he also advised me to stay away from writing with a passive voice, but at least I made it to Rembert! Twin baby goats born during my visit !! The house on the hill at Old McCaskill’s Farm looks nostalgic, but after a visit with owners Kathy and Lee I learned that the structure is actually quite new. “Our house burned to the ground in April 2007,” said Kathy McCaskill. “My husband is a contractor so we built it back to resemble a plantation house. 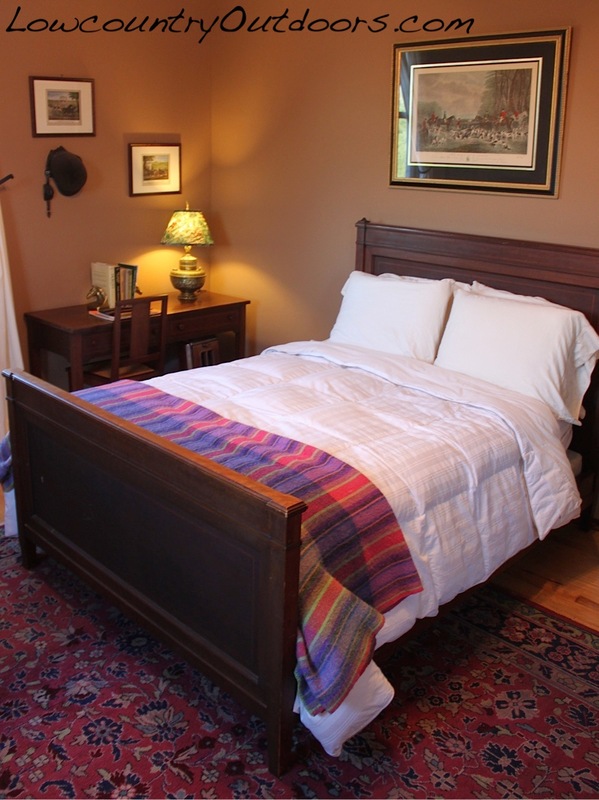 When our kids grew up and moved out of the house we had lots of room, and by 2013 we decided to open as a B & B. Perhaps the Lord had a plan for us all along. My lodging in the Horse Paddock room was clean and comfortable with a private bath, and a large community balcony was nearby. They offer a farm to table breakfast for patrons with eggs and bacon from animals raised on their farm. In fact, they have come to embrace agribusiness as a full-time endeavor raising goats, sheep, chickens, and pigs. Using a USDA facility to package the meats for sale in their farm store, their operation resembles the store in Ravenel at Cordray’s Processing. The community at large is invited to visit their commercial kitchen on Friday’s for lunch prepared by daughter Ashley Robinson. Her menu changes each week depending on what is fresh, and was recently featured in the S.C. Market Bulletin produced by Ag Chair Hugh Weathers. Guests are free to roam the 10-acres of grounds in order to make photos of the animals and to view farm operations. 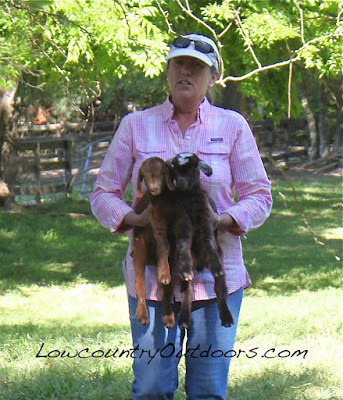 A nanny goat giving birth to twin baby goats, and a border collie corralling the sheep were just a couple of the activities seen during a day in the life of this working farm. To view this feature story in the newspaper click in Charleston Mercury. 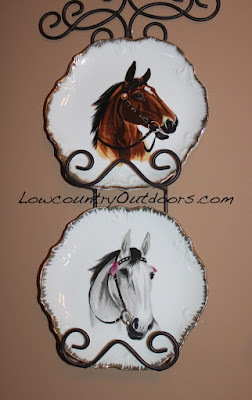 To view my blog about the Boykin Mill Store click here. Like antiques? They have LOTS!